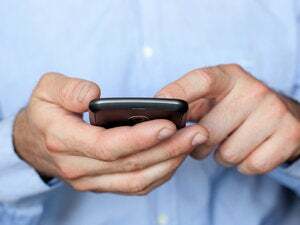 The U.S. Department of Justice will argue that it does not need to present a judge with probable cause of a crime to obtain mobile-phone tracking information in a hearing scheduled for Friday in Philadelphia. The DOJ will argue before the U.S. Court of Appeals for the Third Circuit that it does not need a court-ordered warrant to obtain cell site location information from mobile phone carriers, in an appeal of a magistrate judge's ruling against the agency's effort to get its hands on mobile phone locations records in a drug trafficking investigation. The judge is compelled to grant the DOJ's request for cell location information under the Stored Communications Act, even though investigators have not shown reasonable cause, the DOJ has argued in a brief filed in the case. The U.S. government tracking mobile phones without court-ordered warrants is a scary scenario, several civil liberties groups have argued. "You've got probably 250 million Americans walking around with tracking devices," said Jim Dempsey, vice president for public policy for the Center for Democracy and Technology (CDT), a digital liberties advocacy group. "The question is, what does it take for the government to turn that on and to secretly track you?" Lawyers representing the American Civil Liberties Union, the Electronic Frontier Foundation and the CDT will argue at the hearing that nearly unfettered access by law enforcement investigators to cell location information violates the Fourth Amendment of the U.S. Constitution, which protects U.S. citizens against unreasonable search and seizure. While the DOJ has argued that cell location information doesn't pinpoint a suspect's exactly location, it can often give police location within a few hundred feet, Dempsey said. Mobile phones will give even more precise location information in the near future, as cell phone location information is married with GPS and other technologies, he said. "Does the Constitution apply to these new -- completely unprecedented, really -- technologies?" Dempsey said. "The Justice Department says the Constitution was a horse-and-buggy kind of thing. We say, no, the Constitution was written for the ages, and it should be applied to these new, intrusive capabilities that technology provides to the government." The DOJ argues that the Stored Communications Act requires Magistrate Judge Lisa Pupo Lenihan of the U.S. District Court for Western District of Pennsylvania to honor its November 2007 request for cell location records in a drug trafficking investigation. That law, part of the Electronic Communications Privacy Act of 1986, allows U.S. law enforcement agencies to seek a broad range of customer records from telecom carriers and Internet service providers without probable cause, instead presenting the judge the less stringent standard of reasonable grounds to believe the records are "relevant and material to an ongoing criminal investigation." DOJ lawyers, in their brief, argued the law gives Lenihan little latitude but to grant their request. "The plain language of the statute unambiguously states that the government may require 'a provider of electronic communication service' to disclose 'a record or other information pertaining to a subscriber," DOJ lawyers wrote. In the drug trafficking case, the cell location information would be a valuable tool for investigators trying to establish the location and identity of a drug supplier, the DOJ lawyers wrote. Investigators "learned from a confidential source that a particular subject and his associates use their wireless telephones to arrange meetings and transactions in furtherance of their drug trafficking activities," the DOJ said. "Because the subject and his confederates use a variety of vehicles and properties to conduct their illegal activities, physical surveillance has proven difficult." In addition, the cell tower records "provide only a very general indication of a user's whereabouts at certain times in the past," the DOJ said. Because the records do not pinpoint an exact location, they do not constitute an unreasonable privacy invasion prohibited by the Fourth Amendment, the DOJ said. Cell site records do not even indicate a phone's distance from the serving tower, let alone its specific location, the DOJ said. However, U.S. law enforcement agencies have used cell site information to track suspects, Dempsey said. The cell site information is close enough for law enforcement investigators to infer that a suspect was at home at the time of a phone call or at his workplace, he said. U.S. law enforcement agencies have used cell site information to establish suspects' locations during trials, he noted. The DOJ's argument that Lenihan was required to issue an order for the mobile carrier to turn over the location records also doesn't fit with the wording of the Stored Communications Act, Dempsey argued. The statue says judges may issue the order if some conditions are met, he said. "A court order for disclosure ... may be issued by any court that is a court of competent jurisdiction and shall issue only if the governmental entity offers specific and articulable facts showing that there are reasonable grounds to believe that the contents of a wire or electronic communication, or the records or other information sought, are relevant and material to an ongoing criminal investigation," the statue says. Congress seems to have recognize that there's a need for a judge to have some latitude, Dempsey said. "The statue does not tie the hands of the magistrate," he added.